Gunnhild Øyehaug, Knots, Trans. by Kari Dickson, Farrar, Straus and Giroux, 2017. Formally playful, poignant, understated, and often acutely funny, Øyehaug's English-language debut teems with humanity. In this collection of short—and short-short—stories, fluidly translated from the Norwegian by Dickson, Øyehaug swipes a deft finger through messy layers of human experience and inspects with a keen and generous eye the everyday tragedies, tender absurdities, and quiet joys of life. In the book's spectacular opener, "Nice and Mild," a man paralyzed by anxiety and indecision heads to IKEA for blinds for his son's room. As he talks himself out of the car, across the parking lot, and into the store, he thinks "this could be the start of a virtuous circle," the first step toward a new proactive self, the blinds "a lifeline that's been thrown to me from dry land as I flail and flounder in the waves." In "Small Knot," a son is tethered to his mother for life, and beyond, by an uncuttable umbilical cord in a delightfully morbid and literal rendering of familial bonds and their reverberations through the future. In "Deal," a girl's bicycle breaks shortly after she sets out to run away, and she misses the last ferry out of town. Stranded, she strikes a curious deal with a neighbor who has rescued her and is in need of a little rescuing himself. "Gold Pattern" is a melancholy in-coitus account of a vaguely coupled pair with intermittent and unequal passions, a heart-pricking tale of progressive loss and longing. And in “An Entire Family Disappears,” a grand-uncle rattles his family at a funeral by telling a tale of how easily they might not have come to exist, told in dramatic form with the story unfolding entirely in stage directions. 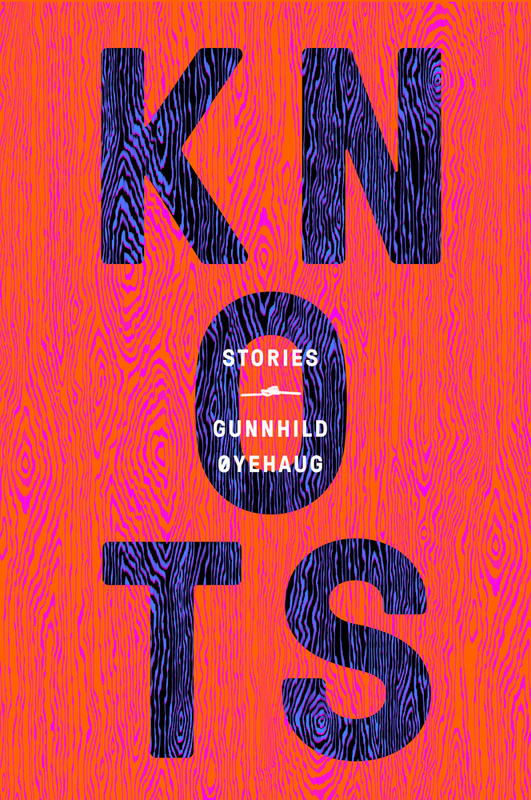 An umbilical cord that cannot be cut –– even after death –– turns out to be less of an impediment than one might think in Knots (176 pages; FSG), Gunnhild Øyehaug’s eccentric collection of short stories. Emotional and mental knots are as binding and problematic as physical ones in these surreal and memorable stories, translated from the Norwegian by Kari Dickson. Øyehaug’s stories run brief as they oscillate between the bizarre and the everyday. In the opening story “Nice and Mild,” a man suffering from anxiety ventures to IKEA to buy curtains for his son, while in “Grandma is Sleeping,” a woman refuses to let in her family inside her home. And the story “The Object Takes and Exalted Place in the Discourse” reads about as theoretical as it sounds. These vignettes are windows not only into the tangled lives of Øyehaug’s characters, but the possibilities of the short story form: some feel like scenes from a play, others contain footnotes that introduce a new character’s perspective. No matter how experimental, the stories benefit from Øyehaug’s skill at creating fully realized characters. She treats these individuals with compassion, humor, and occasional severity—and they in turn ensure the stories in Knots are consistently surprising and memorable. In this way, Øyehaug utilizes the short story form to reveal how some things in life will always remain out of frame and out of focus. Later, Geir’s perspective of Asle cuts away, via footnote, to a “brilliant explanation” for why Asle is carrying a stone—yet we never explicitly learn just why Geir spends his days watching others from a van.